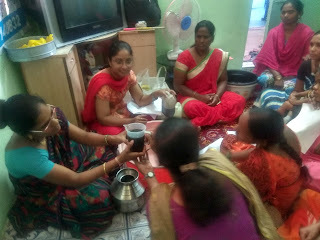 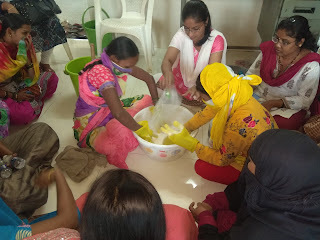 29-November-2018, Koregaon Park (Pune): The Don Bosco Development Society (DBDS), Pune organized a liquid soap making training program at Tadiwala Road slum. 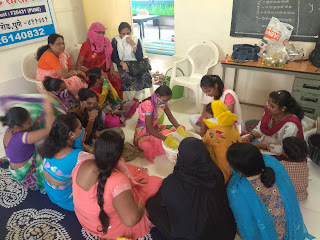 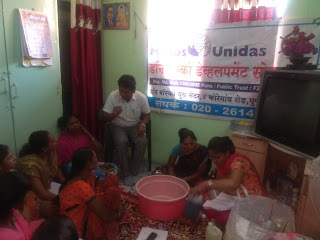 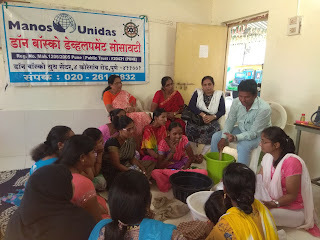 Women residing in the slums of Pune City and belonging to different Self-Help Group underwent this FOUR-DAYS training held under the aegis of ‘Women Empowerment Project’ supported by Manos Unidas, Spain. 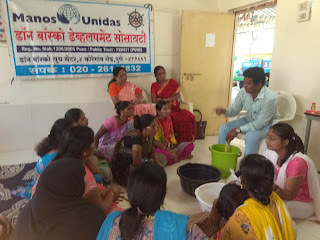 The training was held during 26th November - 29th November 2018. 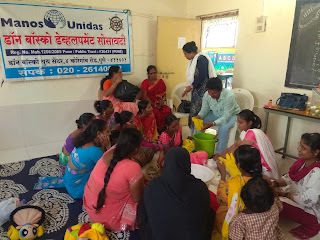 Ms. Nilima Chandhere (DBDS –Staff) was the trainer for this program. 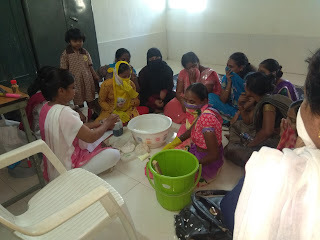 She taught how to make five kinds of liquid soap. 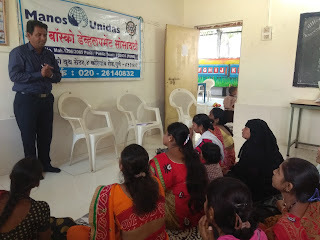 Mr. Nagsen Chavan (DBDS - Coordinator) conducted business development session. 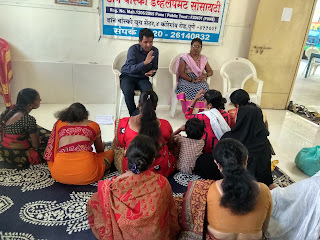 He guided the participants on marketing, sales, customer care, budget, customer data management, advertising, costing, account etc.